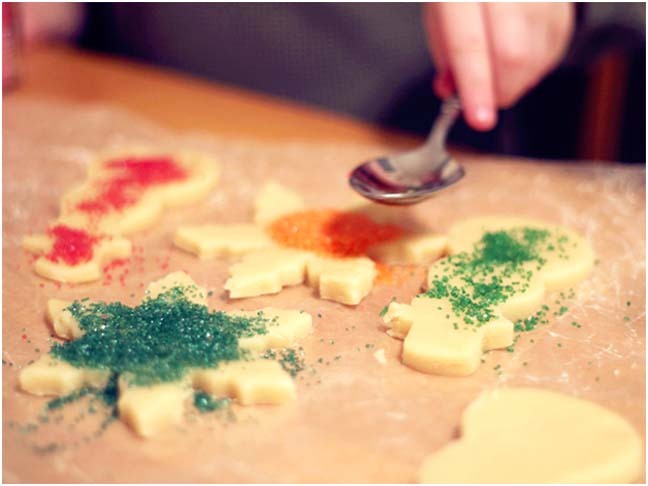 Making and decorating sugar cookies for Santa is part of our Christmas Eve tradition. It’s a fun family activity that keeps the kids happy while they count down the hours until Christmas morning. 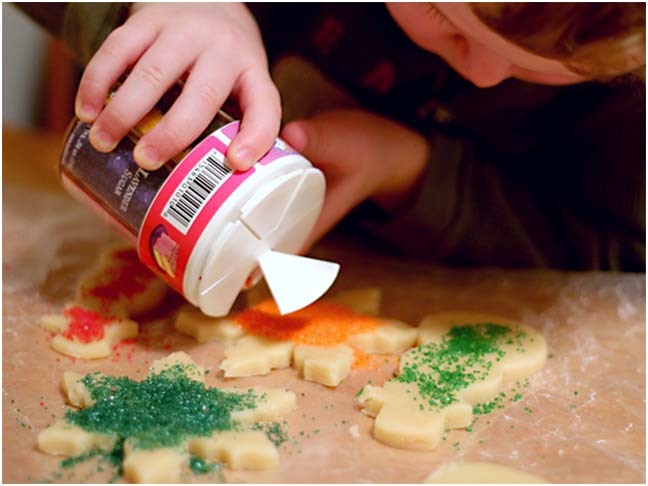 It can be a messy endeavor, though, especially with very young children. Our solution? Forgo the sticky frosting. 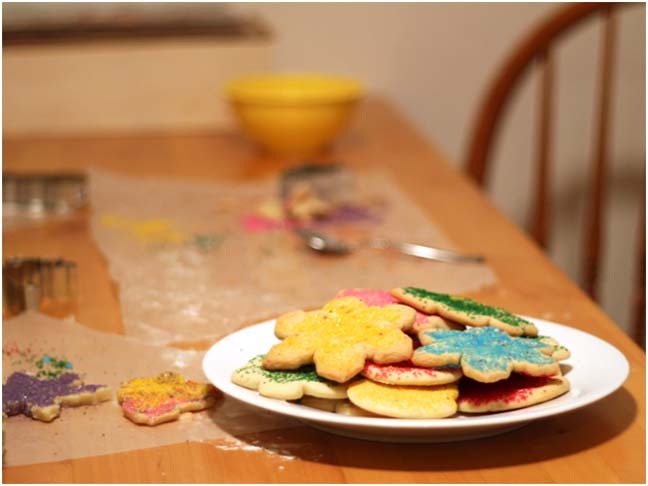 …then we spread them out using a spoon (and sometimes our fingers). 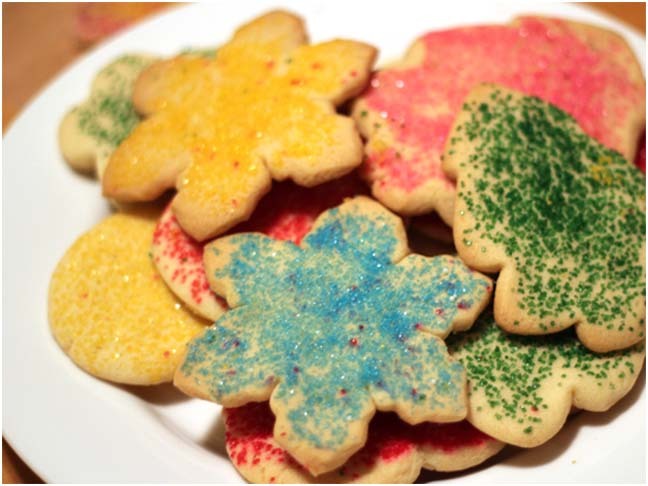 The result is plate full of cookies every bit as pretty as their frosted counterparts. We put them out with a glass of milk for the big guy and a few carrots for his reindeer.